BBvenice - Italy - Our B&B is just a few minutes away from San Marco (center town), in the greenery of the quarter of S.Elena! Private bathroom, Air Conditioning WiFi and TV in all rooms! B & B is an interesting opportunity of living an extraordinary experience. Our site offers different possibilities: from our B&B to independent apartments. ..offers rooms in a modern, comfortable building located in a very peaceful residential neighborhood. Our location is really favourable for visiting the city quietly. 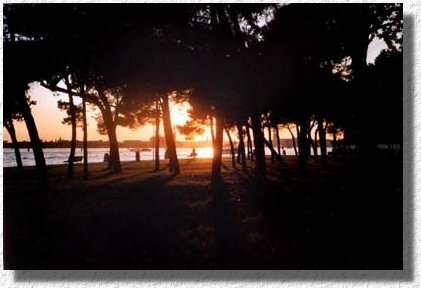 The Bed & Breakfast is situated in the city's residential area, in the greenery of the Sant’Elena pine-wood. San Marco is easily reachable on foot in 20 minutes, by walking down one of the nicest and most panoramic views in the world. Lazy people ;-) can catch the waterbus at the nearest station -- Sant’Elena. It takes less than 10 minutes to reach the S. Zaccaria stop. The Biennale gardens are just in front of the building. All you need to do is cross the bridge and walk for a few dozen meters. The Lido, its beaches and the the International Show of Cinematographic Art are easily reachable by boat in just 5 minutes. Line #41 will take you in less than half an hour directly to Murano for your brittle purchases. The most characteristic sites of Venice, usually hidden from the common tourist, are easily accessible from S.Elena: the Basilica of San Pietro di Castello, via Garibaldi, the Arsenale, the church of San Giuseppe, all the small and narrow streets (Calli) and squares (Campielli) that intersect and make you relive a reality belonging to the 1800’s. You will not feel as though you are in the tourist area in the centre of the city. what a wonderful time we had at your B and B.
to my fellow professors travelling in Venice. but your place is a "pearl". Professor Stan Strembicki sjstremb@artsci.wustl.edu "
and June 17th to 19th 2005 at "BBvenezia"
Venezia is one of the most beautiful cities in the world (click here for some photos). There are hundreds of monuments to visit, hundreds of churches and dozens of museums, but the most beautiful thing to do is to take a walk on the narrow streets called "calli" and wide squares called "campielli", where the old true venetian atmosphere is still alive: you will dive into tranquillity. The most famous and picturesque celebrations, besides Easter, Christmas and New Year's Eve, are the colorful Carnival which is famous all over the world, the Historic Regatta (first Sunday of September), the Redentore with the midnight fireworks in the middle of the lagoon (third Saturday of July), the Vogalonga (30 km non-competitive rowing regatta with thousends of boats), and the Marathon in October. Art expositions such as the Biennale, Peggy Guggenheim Collection, Palazzo Grassi and Museo Correr, are all a MUST. 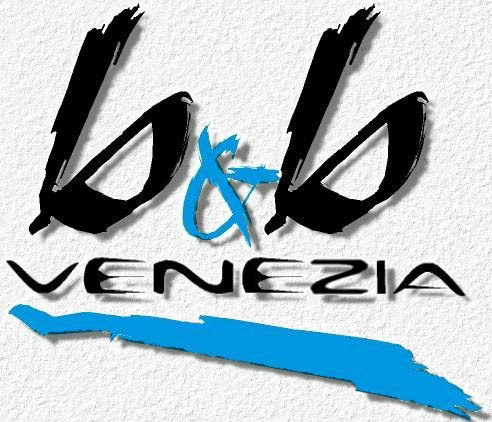 Bed and Breakfast Venezia is located in the most verdant discrict of the city, an island of unspoiled serenity on the eastern shore of the city's fabled lagoon. 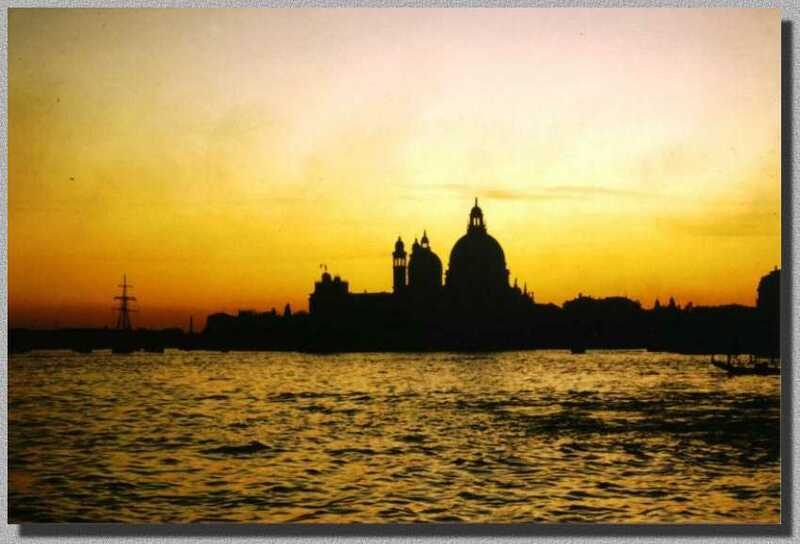 Its most delight feature, however, may be the dreamlike vision of ancient Venice shimmering across the lagoon, especially as the sun sets behind the tower of San Marco and the great dome of Santa Maria della Salute. Three double or triple rooms with private baths, Air Conditioning and TV, are available in a well-equipped environment. A continental breakfast is available each morning. You also have access to a garden and terrace roof which is a perfect sundeck. Bed and Breakfast Venezia è situata nel sestiere più verde della città, un'isola di intatta serenità sulla punta orientale della città lagunare. La sua migliore e piacevole caratteristica, tuttavia, è la vista da sogno dell'antica Venezia che si riflette sulla laguna, particolarmente quando il sole tramonta dietro il campanile di San Marco e la cupola della chiesa di Santa Maria della Salute. Tre camere doppie o triple con bagno privato, Aria Condizionata e TV, sono disponibili in un ambiente ben attrezzato. La colazione continentale viene servita ogni mattina nella cucina. Libero accesso al giardino e all'"altana", la terrazza sul tetto che è perfetta perprendere una bella abbronzatura.